successful entrepreneurship, you won’t want to miss this opportunity! Macquarie Bank to a multi-million dollar start-up. Jonathan Lui. who became the middlemen between Australia’s unemployed and the countless odd jobs in the labour market. 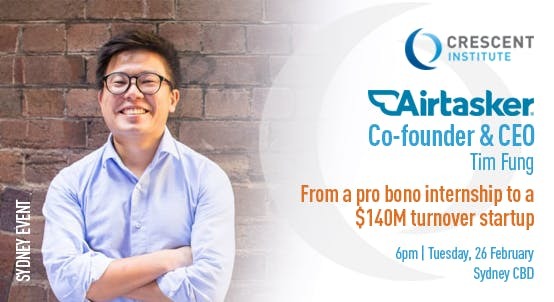 With a $140 million turnover, have your notepads ready to learn the practical tips of how to start and scale a business from the source, Airtasker’s co-founder and CEO.